1st ANDALUSIAN SEMINARS OF OSTEOPATHY (2015) - S.E.F.O. 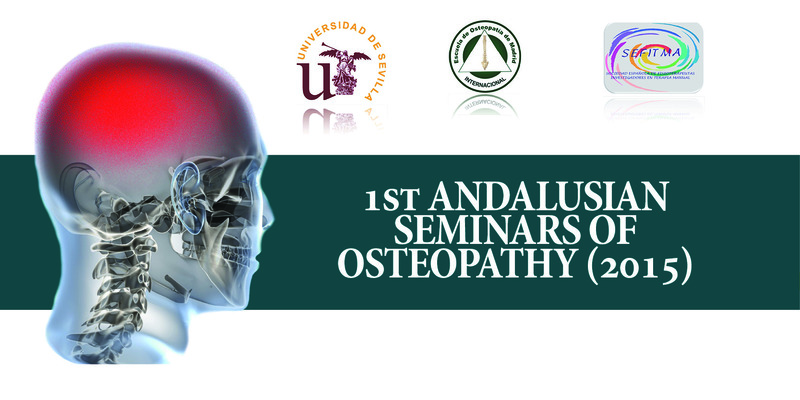 The 1st Andalusian Seminars of Osteopathy (2015) will be held on the 19th of September at the Faculty of Nursing, Physiotherapy and Podiatry from the University of Seville. This important event is organized by the University of Seville (US), the Madrid School of Osteopathy (EOM) and the Spanish Organization of Physiotherapists Researchers in Manual Therapy (SEFITMA). Many important professionals and researchers will attend these seminars, developed as talks, workshops and free communication (posters), which can be presented by those professionals requesting it. GOALS: The 1st Andalusian Seminars of Osteopathy (2015) is meant to make known the latest scientific evidences in Osteopathy and to disseminate the development of Osteopathy. Moreover, evidence-based osteopathic research must be encouraged as the most important method for innovation, in order to provide society highly specialised health care services.